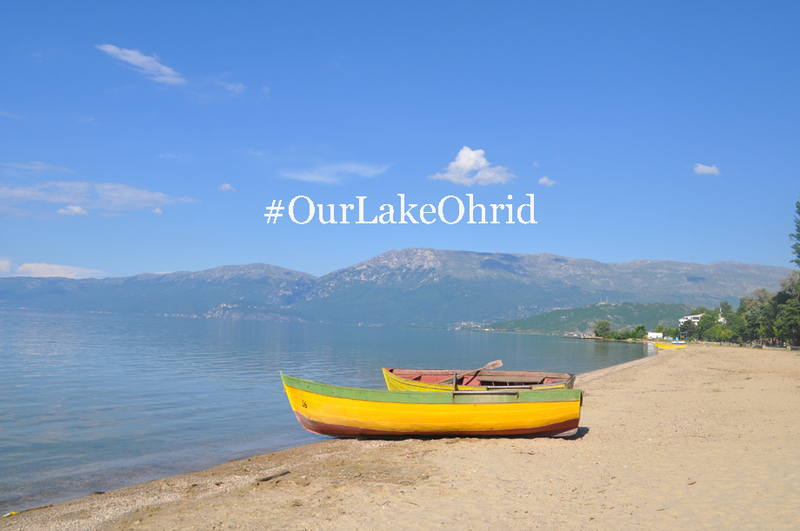 Lake Ohrid region is home to nearly 160 000 people, with more than 52 000 residing in Albania. Every year, approximately 300 000 visitors explore the region's natural and cultural heritage. While in Macedonian side of the lake, summer tourism rhymes easily with culture tourism, this is not happening in Albanian side of the lake. "The main threat in wetlands like the Lake Ohrid region is the fact that it is exclusively used as a sunny weekend, a few hours destination, with extremely low or no income for the local people",- says Alois Lang, Austrian expert working with local authorities in Pogradec region for sustainable tourism development. The challenge for local and international experts who are working closely on this area, is to find alternative touristic products and interests for the general public, but also for different kinds of audiences, says Christophe Graz, heritage consultant ICOMOS, who is also working with Albanian experts to explore the tourism opportunities in the region. Local experts and authorities are optimistic for the next years. Gani Bego, from regional Administration of Protected areas in Pogradec, says: In the next ten years, I see tourism in this area going beyond water tourism, more linked with mountain tourism and family tourism, that is less developed on the Albanian side and taking into account the experience of Macedonian side. International and local experts are closely working together under the EU-funded project “Towards strengthened governance of the shared transboundary natural and cultural heritage of the Lake Ohrid region”. Some of them were interviewed to produce this video, which focuses on the challenges and opportunities of sustainable tourism. The video was published lately with the support of UNESCO, aiming at raising awareness about values and threats of Lake Ohrid site. Rajoni i Liqeni i Ohrit banohet nga rreth 160 mije njerez, nga te cilet 52 mije banojne ne pjesen shqipetare. Cdo vit rreth 300 mije vizitore eksplorojne trashegimine kultuore dhe natyrore te rajonit. Ndersa ne pjesen maqedonase te liqenit, turizmi veror eshte ne harmoni perfekte me turizmin kulturor, kjo nuk ndodh ne pjesen shqiptare te Liqenit. Kercenimi kryesor ne brigjet e rajonit te Liqenit te Ohrit eshte fakti se ai perdoret ekskluzivisht per fundjavat me diell, si nje destinacion disa oresh, qe sjellin shume pak te ardhura ose aspak per banoret lokale, thote Alois Lang, ekspert autriak qe punon me autoritetet lokale ne Pogradec per zhvillimin e nje turizmi te qendrueshem. "Sfida per ekspertet lokale dhe nderkombetare qe po punojne se bashku ne kete zone, eshte te gjejne produkte alternative turizmi per publikun e gjere por edhe per lloje te ndryshme audiencash, thote Kristof Graz, konsulent trashegimie nga ICOMOS, qe po punon me ekspertet shqiptare te eksplorojne mundesite e turizmit ne rajon. Ekspertet lokale dhe autoritetet jane optimiste per vitet qe vijne. Gani Bego, nga Administrata rajonale e zonave te mbrojtura ne Pogradec thote: "Ne 10 vitet qe do te vijne, e shoh turizmin ne kete zone, tej turizmit veror te liqenit, me te lidhur me turizmin malor dhe ate familjar, qe eshte nje turizem pak i zhvilluar ne pjesen shqiptare, duke marre shembull nga eksperienca ne pjesen maqedonase".